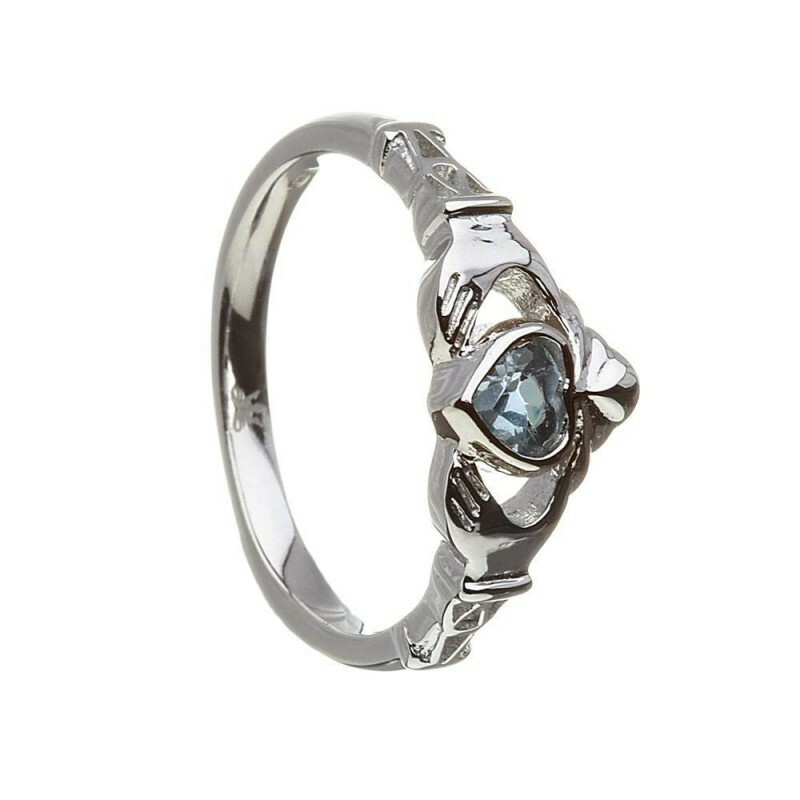 December – Blue Topaz – This sparking blue stone evokes images of the wind, sky and water and is the colour of calm and peace. Often associated with loyalty and love, this gemstone represents eternal romance and friendship. Width: Band Width 2.0mm/8mm at Claddagh approx.